How Does A Craigslist Porsche Compare To A Brand-New Toyota 86? It's old and cheap vs new and reliable. We have always thought that buying a used car could be just as good as buying a new one. In fact, we were able to fill a garage with three awesome cars for just $30,000, which is only around $3,000 more than a new Toyota 86. 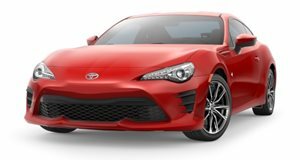 The Toyota 86 is the result of the Scion brand being discontinued last year. Toyota decided to make lemonade and keep its Subaru-codeveloped sports car on sale under a different name. Clearly, The Fast Lane Car shared the same thought: Is a cheap old Porsche Boxster better than a brand-new Toyota 86? This comparison features a 1999 Boxster which was purchased on Craigslist for just $6,000. The Toyota is brand new and costs around $27,000. Both cars have about 200 hp and a curb weight of around 2,700 pounds, so this comparison might be pretty close. Unfortunately, the test is performed completely on snow-covered roads, so we really don't learn much about the performance of either car. What we do learn is that both cars end up losing control and sliding into snow banks, despite the Toyota having traction and stability control. 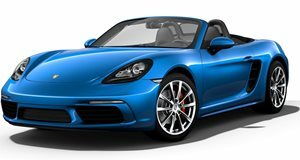 The Toyota will certainly be more reliable, but the Boxster is an incredible value.